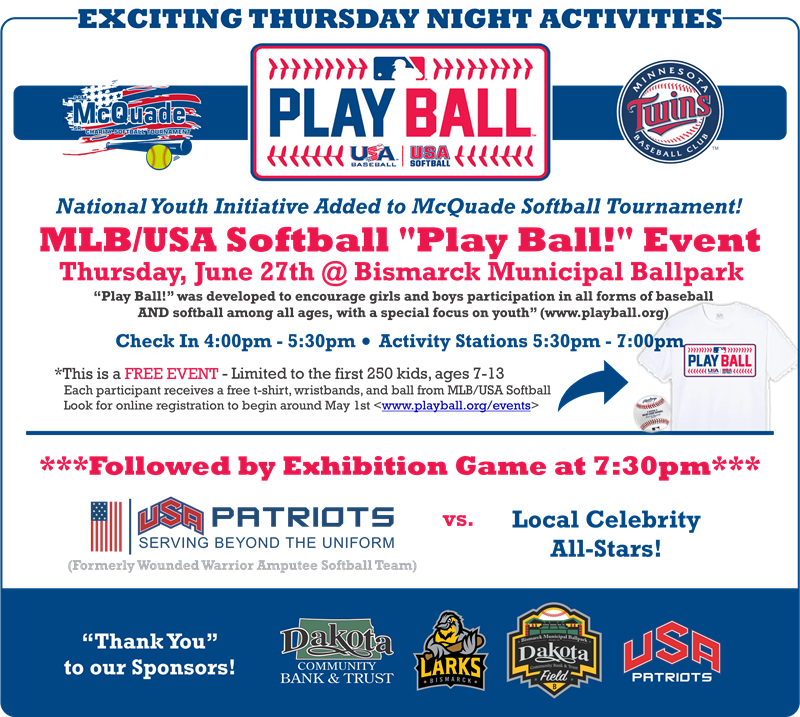 It will be held the weekend of June 28, 29 and 30, 2019, with special Thursday night activities (below). We are now accepting ONLINE REGISTRATIONS! (Click here or on the "Register" tab above.) Please enter all of your team information, along with payment, and you will get immediate acknowledgement of your entry by e-mail confirmation AND by seeing your team name added to the corresponding division in the file below. While we much prefer online registrations, we understand that some teams may not have that option and will still need to fill out the paper forms and mail them to us. We will enter those teams into the database, but please wait at least 10 business days to allow for mailing and processing time, before checking back on this website to verify your entry. Thank you for supporting our charity tournament! Entry Deadline: May 6th OR when division is filled. Check HERE to see the list of teams currently registered into the 2019 McQuade Softball Tournament. Please watch our Facebook page for up to date information on the tournament. If you have any questions about the tournament, please E-mail Us Here.